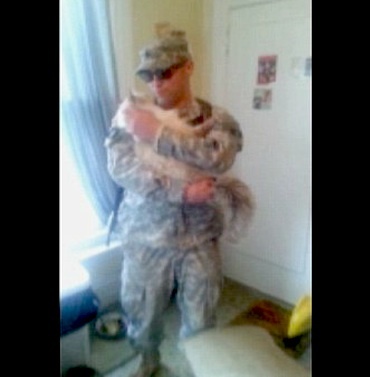 In the most suspenseful video of 2014, a meowing cat impatiently waits for his soldier owner to arrive after being deployed for months. The viewer takes on some of the cat’s anxiety, as it feels like it takes FOREVER for the door to open and the dude to walk in, set down a box, and catch the cat in the air as he leaps into his arms. So cute. I relate to this. The last time I was downtown I did the same thing to a stranger but that was mostly because they had a cheese blintz in their hand. Begging them to adopt me and let me live in their pool house was probably mistake, but I don’t regret stealing the blintz. Got to love this video! pROVES cATS ARE Smarter than Dogs and people! !